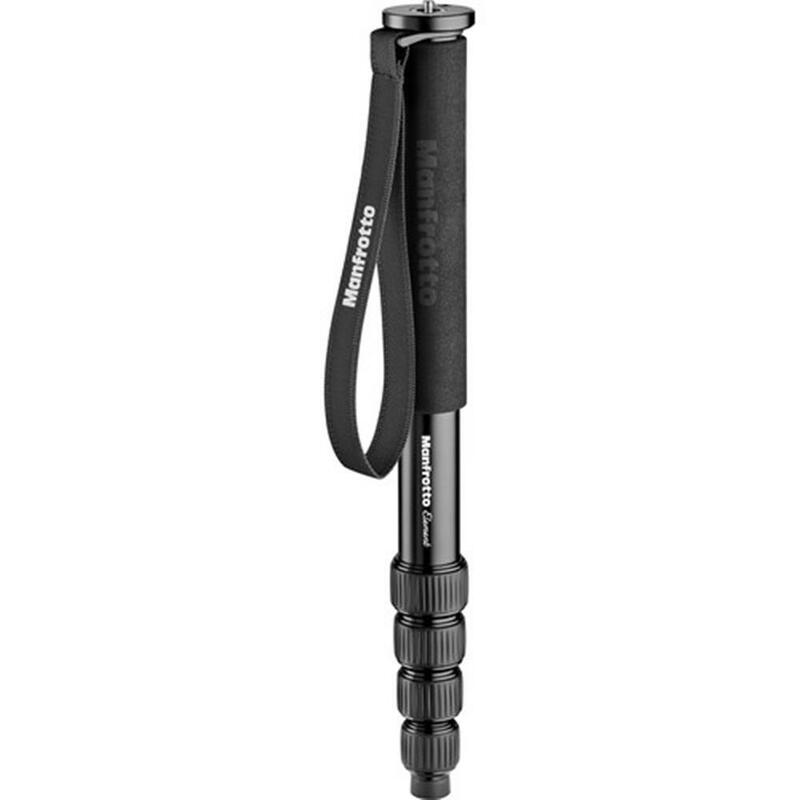 Manfrotto's Element Monopod black is a 5-section aluminium alloy monopod that extends to a height of 150cm, folds down to 41.5cm and weighs just 500g. In a nutshell: extremely sturdy, extremely portable. 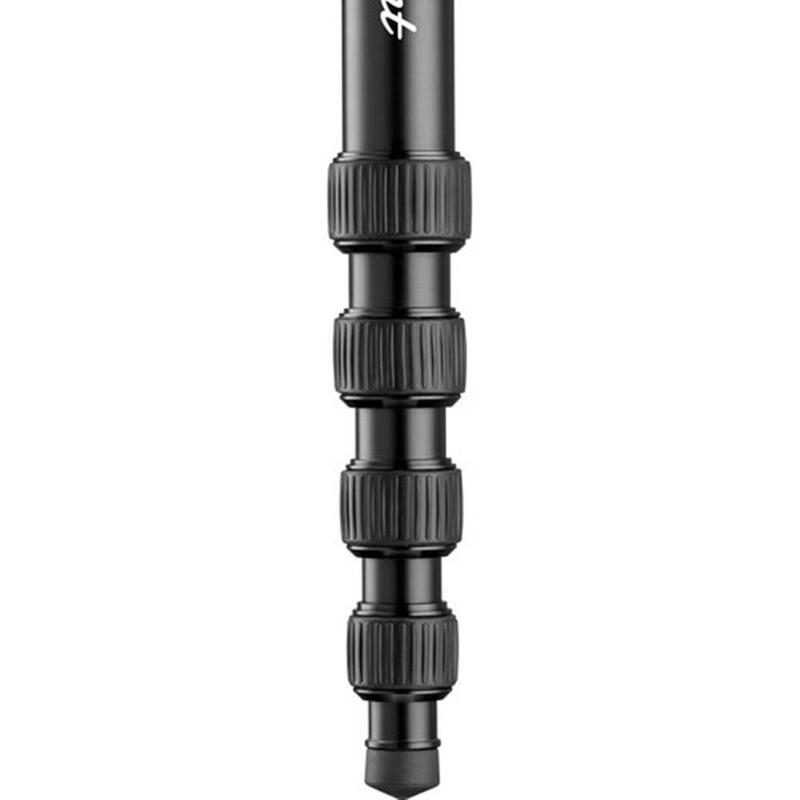 Height is adjusted with twist locks. 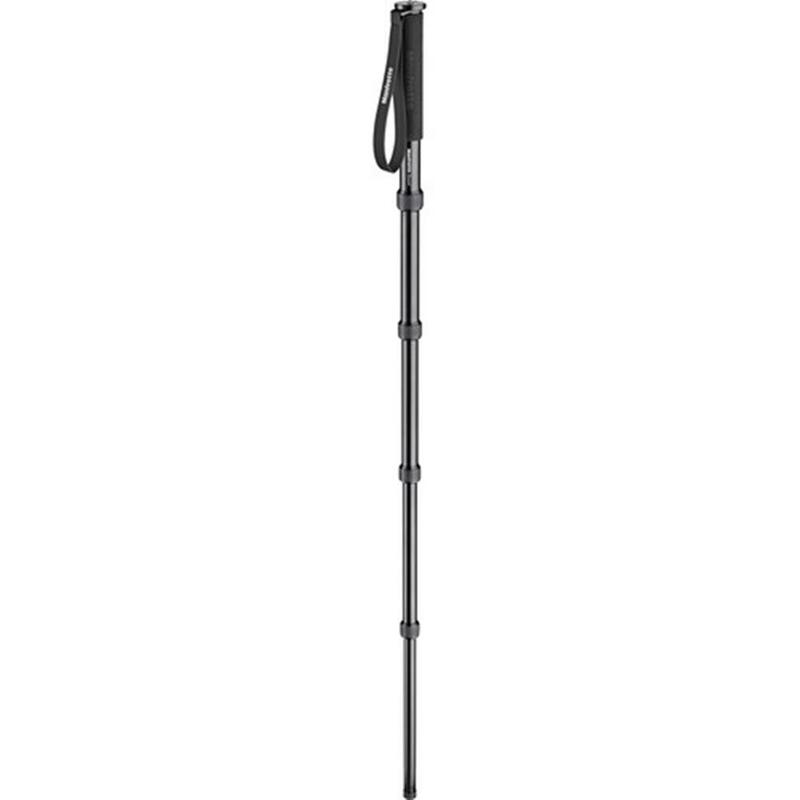 This ergonomic mechanism makes the monopod fast and handy to operate - both core features of the ideal monopod. Weight: 500 g / 17.64 oz. Min Height: 40.8 cm / 16.06 in. Maximum Height: 150 cm / 59.06 in. Legs Tube Diameter: 19, 22, 25, 28, 31 mm / 0.75, 0.87, 0.98, 1.1, 1.22 in. Safety Payload Weight: 15 kg / 33.07 lbs. Closed Length: 40.8 cm / 16.06 in. Upper Disc Diameter: 46.5 mm / 1.83 in.